Netflix and CBS All Access have released new previews and info for several of their upcoming series and films. Likewise, Warner Bros. has detailed a new IMAX documentary set for digital release through various retailers via the Movies Anywhere ecosystem. 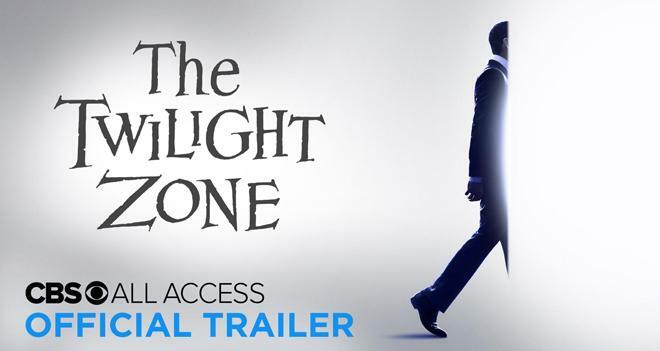 The Twilight Zone (CBS All Access, April 1) - Witness the re-imagining of the most iconic series of all time, hosted by Academy Award winner Jordan Peele. Episode 1, "Nightmare at 30,000 Feet," stars Adam Scott. Episode 2, "The Comedian," stars Kumail Nanjiani. Both will premiere on April 1. New episodes will then follow weekly every Thursday. Quicksand (Netflix, April 5) - When a tragedy takes place at a prep school in Stockholm’s wealthiest suburb, a normal high school student, Maja Norberg, finds herself on trial for murder. When the events of that day are revealed, so too are the private details about her relationship with Sebastian Fagerman and his dysfunctional family. Störst av allt (Quicksand) is based on the best-selling novel by Malin Persson Giolito which has been published in 26 countries and was voted Nordic Crime Novel of the year in 2016. You vs. Wild (Netflix, April 10) - A survival show starring and following Bear Grylls. The show takes place in various remote locations around the world, and features an interactive branching narrative with multiple choices within each episode, where a user may direct the course of the story. The Silence (Netflix, April 10) - When the world is under attack from terrifying creatures who hunt their human prey by sound, 16-year old Ally Andrews (Kiernan Shipka), who lost her hearing at 13, and her family seek refuge in a remote haven. But they discover a sinister cult who are eager to exploit Ally’s heightened senses. Based on the acclaimed novel, The Silence is directed by John R. Leonetti (Annabelle) and stars Stanley Tucci, Kiernan Shipka, Miranda Otto, John Corbett, Kate Trotter and Kyle Breitkopf. Special: Season 1 (Netflix, April 12) - Why be normal when you can be Special? Special is a distinctive and uplifting new series about a gay man, Ryan, with mild cerebral palsy who decides to rewrite his identity and finally go after the life he wants. After years of dead-end internships, working in his pajamas as a blogger and communicating mostly via text, Ryan eventually figured out how to take his life from bleak to chic and began limping towards adulthood. The offbeat comedy is based on series creator and star Ryan O’Connell’s memoir, "I'm Special: And Other Lies We Tell Ourselves." O’Connell also serves as executive producer alongside Jim Parsons. The Perfect Date (Netflix, April 12) - Brooks Rattigan (Noah Centineo) has the academic chops to get into his dream Ivy League school, but what he’s missing is an outstanding extracurricular — and the money. When he seizes on an opportunity to make some extra cash by posing as the boyfriend of a self-assured, combat boot-loving girl named Celia Lieberman (Laura Marano), he finds he has a knack for being the perfect stand-in. Together with his programmer friend Murph (Odiseas Georgiadis), Brooks launches an app selling himself as a plus-one for all occasions. Along the way, he meets the girl of his dreams (Camila Mendes). But when business starts to boom, Brooks must reassess everything he was once sure of. The Protector: Season 2 (Netflix, April 19) - The series follows the epic adventure of Hakan, a young shopkeeper whose modern world gets turned upside down when he learns he’s connected to a secret, ancient order, tasked with protecting Istanbul. Facing formidable odds against the resurgent Immortals, Hakan and the Loyal Ones must forestall sinister plans to destroy the city -- and all humans. Undercover (Netflix, May 3) - One of the largest ecstasy producers in the world, Ferry Bouman, lives a charmed life in his villa on the Dutch-Belgian border. But things start to change when two undercover agents move into his territory, attempt to infiltrate Bouman’s life and shut down his network. Neon Genesis Evangelion (Netflix, June 21) - All 26 episodes of the mind-bending mecha anime — along with both films EVANGELION:DEATH TRUE² and The End of Evangelion — will be available to stream worldwide for the first time in history. Kengan Ashura (Netflix, July 31) - Underground gladiator Tokita Ohma fights on behalf of business mogul Nogi Hideki who wagers mega-business deals on the outcome of these brutal matches. Pandas (Movies Anywhere, April 9) - After years of success breeding captive pandas, scientists at the Chengdu Research Base For Giant Panda Breeding (aka Chengdu Panda Base) in China are taking their efforts to the next stage and preparing captive-born cubs for release in the wild. This film follows one such researcher, whose passion leads her to initiate a new reintroduction technique inspired by a black bear rehabilitator in rural New Hampshire. What starts as a cross-cultural collaboration becomes a life-changing journey for a team of scientists and one special panda named Qian Qian (pronounced Chen Chen). The film, captured with IMAX® cameras, follows Qian Qian on an exciting new adventure into the mountains of Sichuan as she experiences nature for the first time and discovers the freedom - and perils - of the wild side. - A current Netflix subscription starts at $13 per month for HD streaming and $16 per month for Ultra HD streaming. - A current CBS All Access subscription costs $5.99 per month with reduced commercials or $9.99 per month for a commercial-free plan.